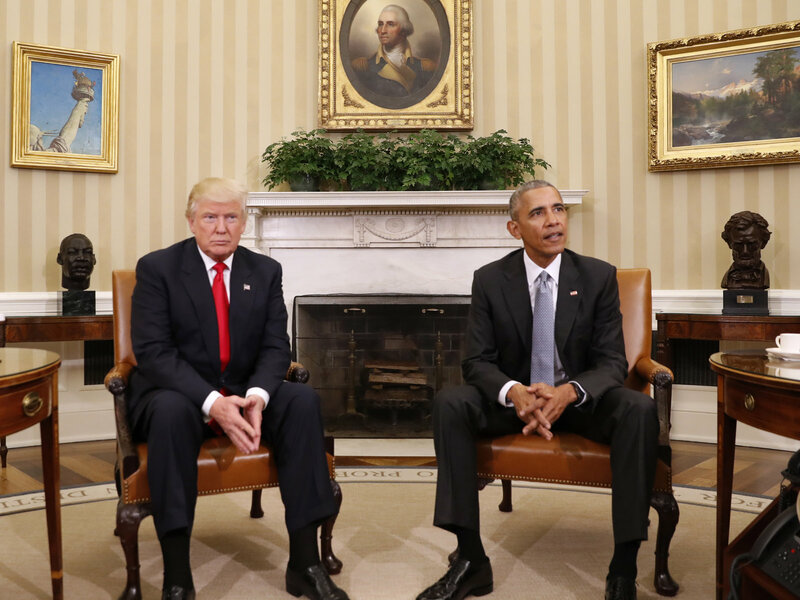 Barack Obama and Donald Trump met for the first time at the White House, where the current president pledged to work to make Trump’s family “feel welcome” as the transition takes place. The meeting lasted an hour and a half. Obama stated that they had a conversation regarding both local and international affairs, and Trump even said he was looking forward into working with the man he once accused of not being an American-born president. After years of criticizing President Barack Obama’s policies and decisions, Donald Trump will finally have the chance to replace him as the man in charge of the most powerful country in the hemisphere. Reportedly, Obama and Trump had never interacted with each other before. They were present at the 2011 White House Correspondent’s Association dinner when Obama mocked Trump about his claims that the president was not born in the United States. Also, Melania Trump met Michelle Obama. The First Ladies discussed their reflections on raising children in the White House. It is worth remembering that Melania Trump pretty much copied a speech delivered by Michelle Obama and paid no mind to the accusations. Reporters described the presidential meeting as historical and respectful, where both families exchanged only words of high regard for each other. Even if Trump and the Republican majority in Congress have clear intentions of reversing pretty much every decision taken by Obama, the current president acknowledged that even if both him and Trump have significant differences, they must abide by the American tradition of a peaceful transition of power. Both presidents did not mention any measures in particular that they discussed other than the staff structure of the White House. During the presidential campaign, President Obama spoke harshly of Trump, who claimed that the elections were rigged. Barack Obama stated that whenever a candidate is trying to lead voters to believe that the electoral process is faulty, their intention is to erode democracy as it stands. On a similar note, White House Press Secretary Josh Earnest stated that President Obama still believes that Trump is “uniquely unqualified” to serve as President of the United States. Earnest revealed that despite all of his faults, Donald Trump appeared eager to perform a smooth and respectful transition for becoming the next president, which apparently provided Obama with more confidence about helping Trump feel welcome at the presidential residence. “There is a long tradition in our democracy of presidents effectively doing that. Because they have a responsibility to put their own political views aside and perform the functions of the presidency. And one of those functions is to ensure a peaceful, smooth and effective transition,” stated Earnest to the press. But now Trump is out of the campaign, he has already won and has no need to fight or pose a threat to anyone. The rule is that he will take charge in the following months and will work with the Republican majority to fulfill his agenda, just like he fulfilled his candidacy. Donald Trump will be sworn in as President of the United States on January 20.